During my three-year tenure with IF&W, it never changed. Blame was placed on the deer tagging stations. 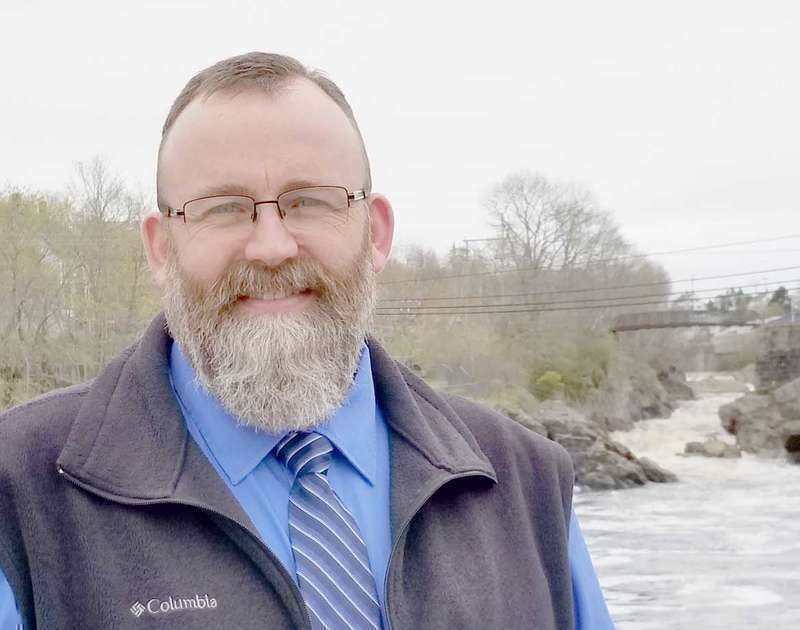 Editor’s note: This is the fourth in our series introducing voters to the four candidates running for two seats on the Machias Selectboard. The town will vote on Tuesday, June 12. 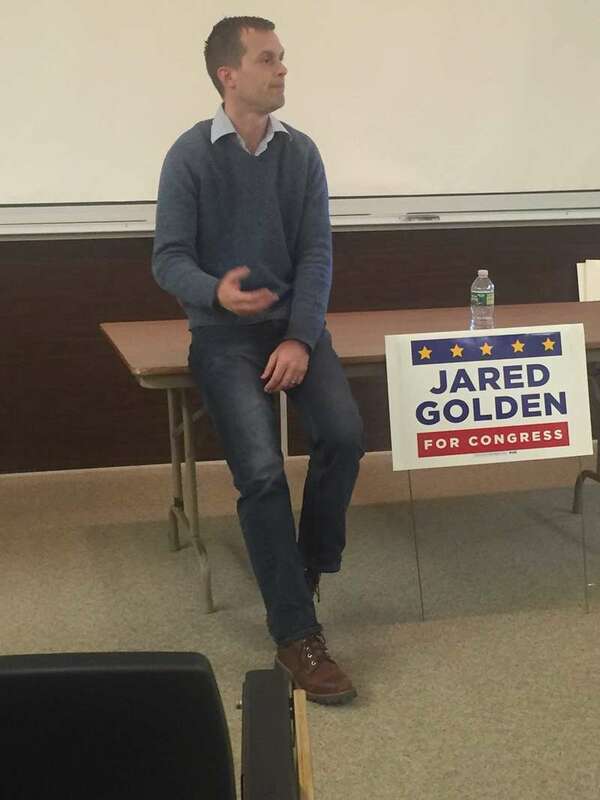 Jared Golden, a state legislator who is hoping to prevail in next week’s primary among Democrats vying to challenge (Republican) 2nd Congressional District Rep. Bruce Poliquin next November, made a second appearance in Washington County May 27 at a town hall gathering at the University of Maine at Machias. He previously spoke to the county Democratic committee last February. Here in Washington County, it is easy to see the thing Maine needs most: Jobs. What I am not seeing is a lot of action to make that happen, despite the supposedly business-friendly policies of the LePage administration. He’ll be an education governor, backing school choice, affordable higher education and workforce training. He’ll be a freedom governor, backing first amendment guarantees of free speech and religious liberty. He’ll be a unifying “one Maine” governor, opposing progressive interest groups who have abused the referendum process to promote class warfare and identity politics. Lottiemae Margaret (Durrett) Mattes, 82, passed away May 8, 2018 at her home surrounded by her loving family. She was born July 11, 1935 in New Orleans, Louisiana, the daughter of the late Capt. Alfred William Durrett, Sr. and Dolores Mae (Schock) Durrett. He has his own radio show, he’s a successful activist, and he enjoys skiing every chance he gets. 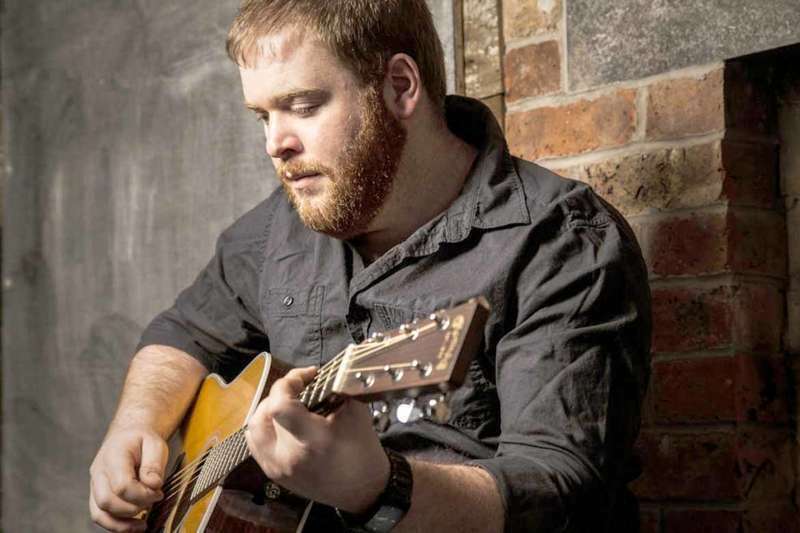 He rides horseback, enjoys the music of Broadway and this month he’ll hop on a plane to sing soprano solos with his chorus in France — for the second time. 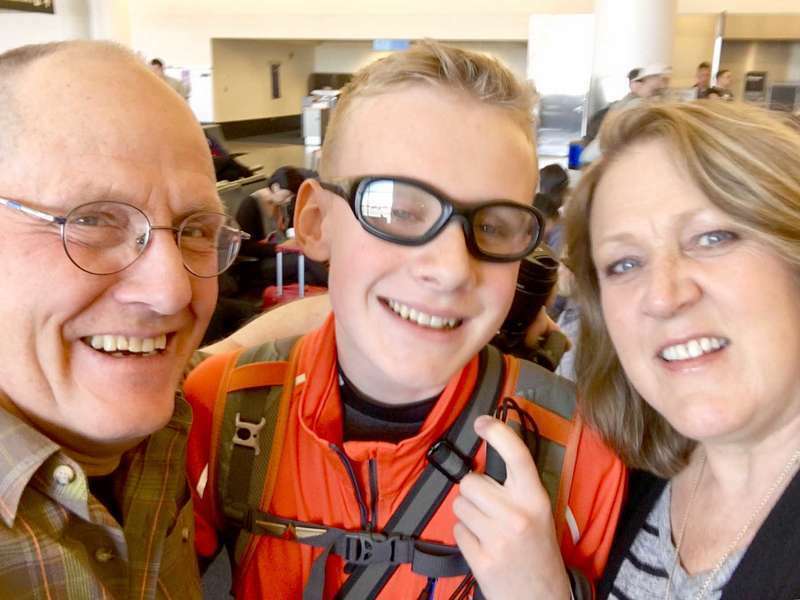 But first, Noah Carver will complete a two-week expedition in Nepal. Noah Carver is 14 years old. 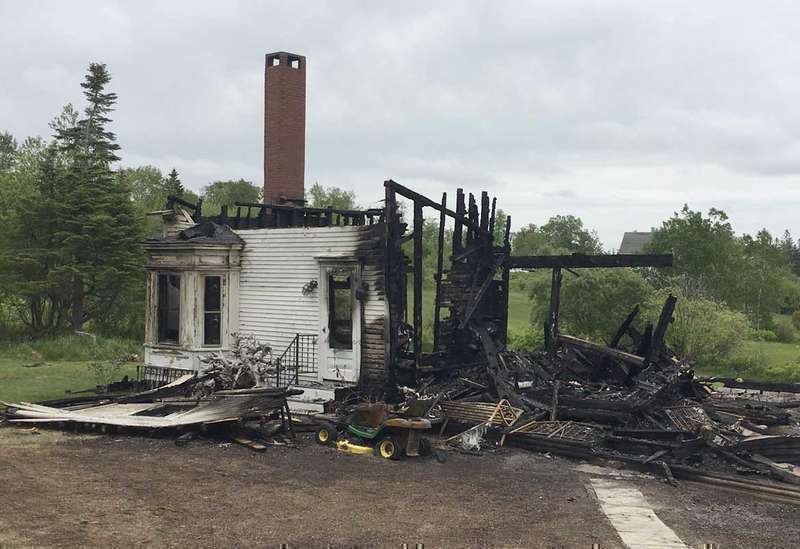 Four generations of Hinermans have lived in the Machiasport home Melissa Hinerman shared with her partner, JJ Tibbetts, but fire destroyed the white-clapboard home on the night of Saturday, June 2. 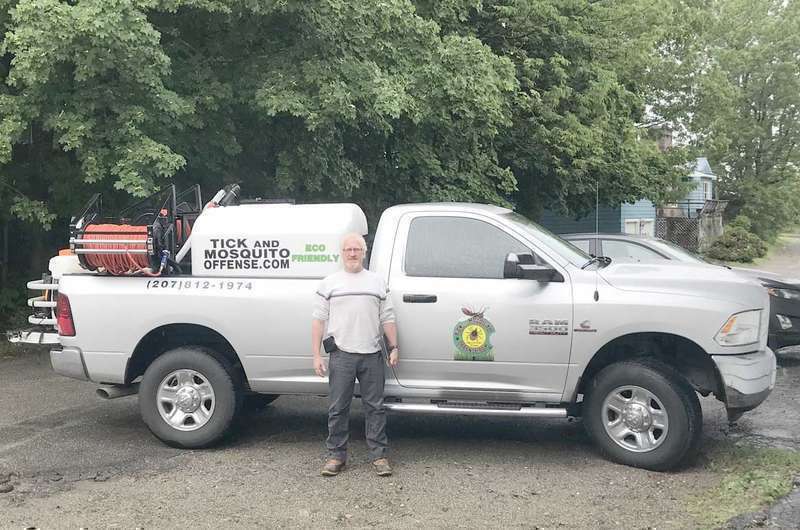 The Machiasport Fire Department responded to the call with Machias, Roque Bluffs, East Machias, Jonesboro and Marshfield departments rendering mutual aid. Machias Fire Chief Joey Dennison served as incident commander. The home was built by Hinerman’s great grandparents. Voters attending next week’s annual town meeting in Machias will find a $4,000 increase in the town’s proposed 2018-19 budget. The summer array of the arts began last weekend at Jonesport’s Peabody Memorial Library, with an artists’ reception and the beginning of a month-long silent auction of whimsical birdhouses fashioned by area students. 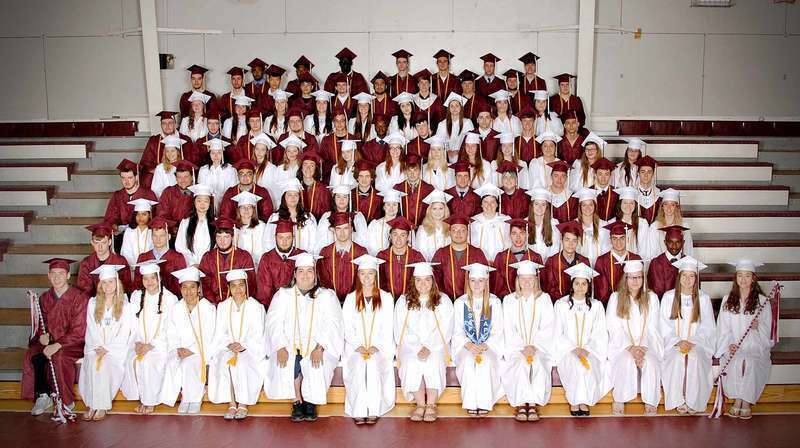 Editor’s note: On Sunday, June 3, Machias Memorial High School’s Class of 2018 received their diplomas. Farrow McKenna spoke as class valedictorian, and Meagan Jordan spoke as salutatorian. Below are excerpts from the speeches they delivered to the assembly. Usually it’s a good thing to move up the rankings in a competition, but sometimes moving down has its merits, too. 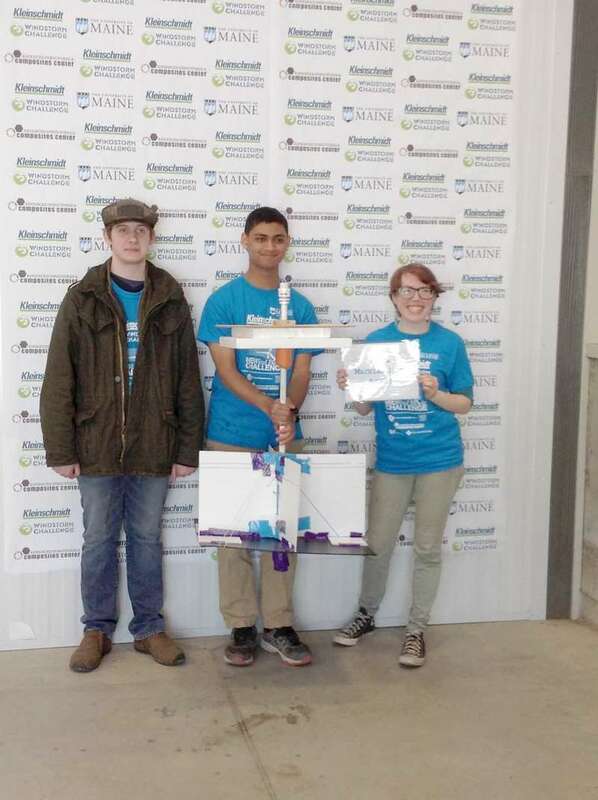 Machias Memorial High School’s Honors Physics class recently won third place in the Kleinschmidt Windstorm Challenge, an impressive placing in a statewide engineering contest. But the story of how they gave up second place may be even more impressive. 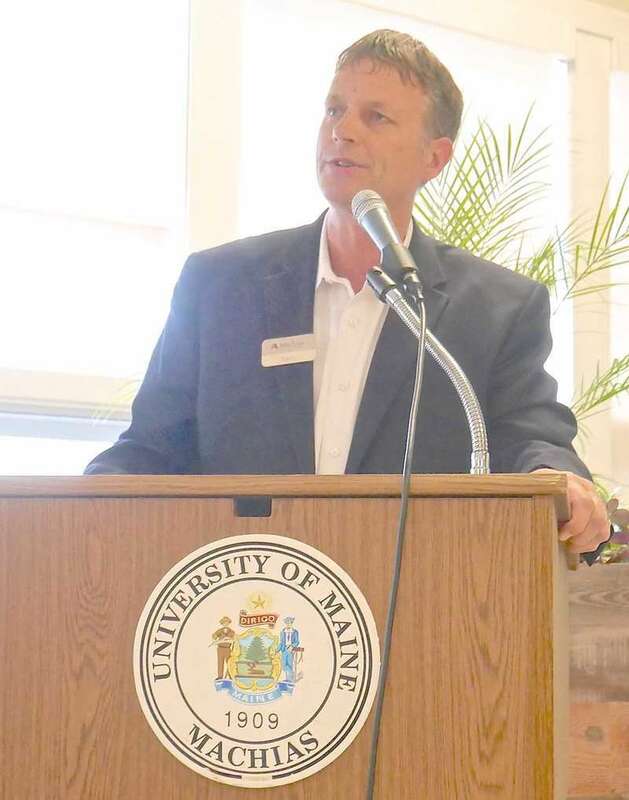 The Machias Bay Area Chamber of Commerce (MBACC) Annual Dinner, Awards and Auction was held at the Kilburn Commons building at the University of Maine at Machias on Friday, May 25. The evening began with drinks and conversation among neighbors, all coming out to support the MBACC in its efforts to raise money for future endeavors. Musician Duane Ingalls performed during the social hour as people arrived, perused the auction items and waited for the awards to be given out. 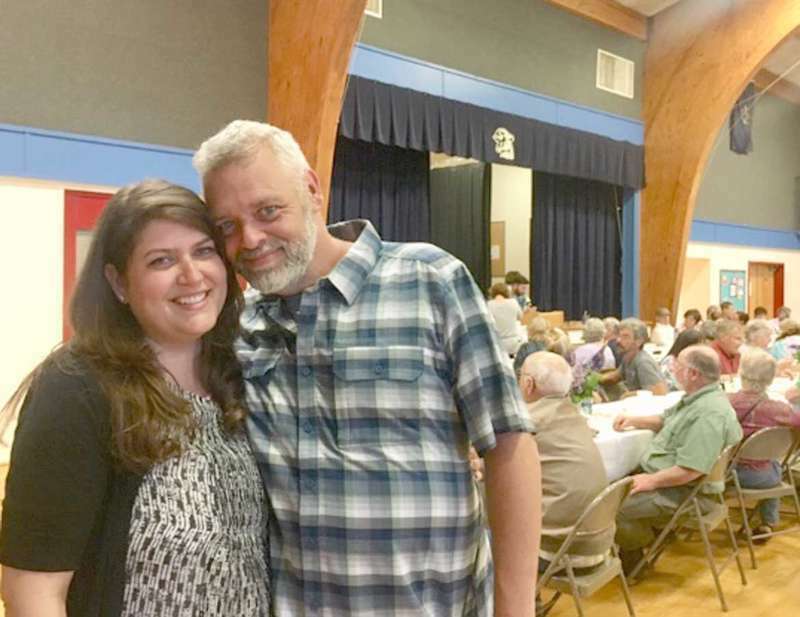 Almost 400 people attended a benefit supper and Chinese auction to benefit Melissa Hinerman and JJ Tibbetts who lost their home to fire on Sunday, June 2. The Machiasport home was built by Hinerman’s own great grandparents and had been home to four generations of her family. Three members of Jonesport’s Sawyer Memorial Congregational Church came to Jonesport selectmen June 6 to press their case for the clock they hope one day to put back in a new steeple atop their church. 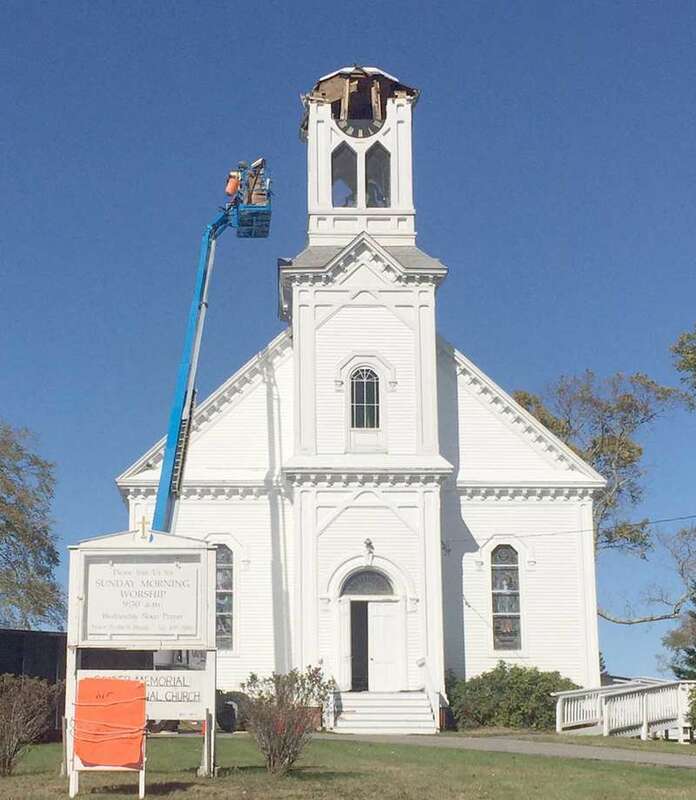 Last fall, the 100-year-old steeple was brought down by workers in cranes dismantling it board by rotten board. Down too came the brass bell that had once tolled the hour and the clock that told it when to ring. On Thursday, June 14 we will observe Flag Day. For over 69 years the Hannah Weston Chapter, Daughters of the American Revolution has sponsored the Flag Essay Contest, asking students in local elementary schools to write a few words on “What the Flag Means to Me.” Over the years the words and concerns of the young people have changed, reflecting for the most part the current events of the times, but in all these years, one theme has come through - love of this wonderful country and its flag. As a two-term Calais mayor and longtime civic leader, Marianne Moore has always had her voice heard. It’s just that this time around she’s competing in a larger arena. 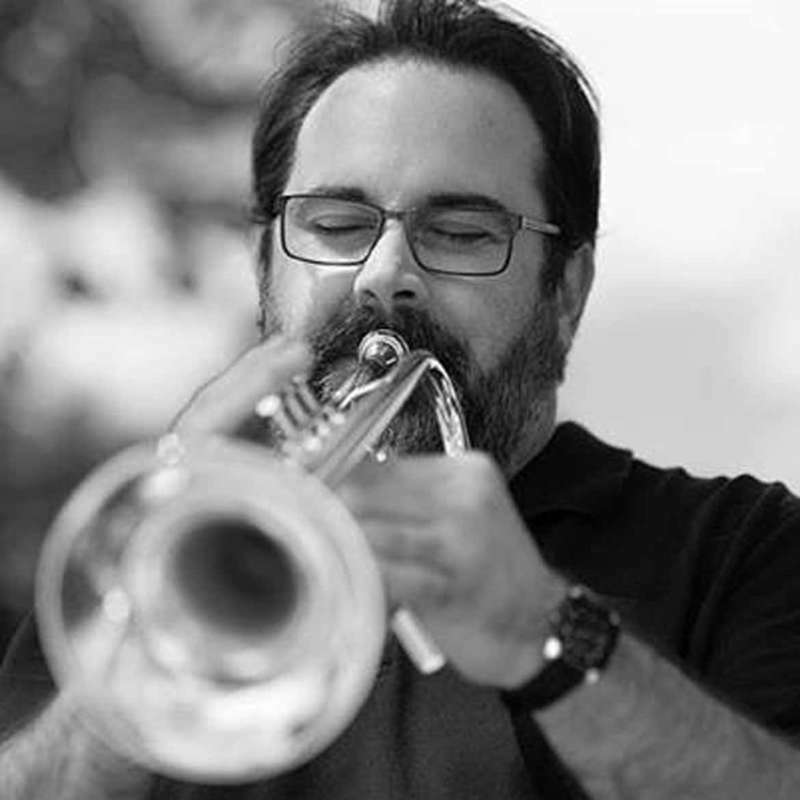 On Tuesday, July 3, Machias Bay Chamber Concerts (MBCC) offers up an exuberant performance by the Brian Nadeau Big Band at the Centre Street Church, UCC. The concert will include hits from the Big Band Era, patriotic medleys and a salute to the Armed Forces in celebration of Independence Day. Spring Hill, Florida and Harrington - Harold Leroy Skinner went to meet the Lord on April 14, 2018, peacefully in Spring Hill, Florida. Harold was born October 24, 1936, in Cherryfield, Maine, the son of William and Mae Skinner. Esther (Sprague) Pellon, 84, beloved wife, mother, grandmother and great-grandmother left us on June 8, 2018 at a Machias hospital after an illness. She was born July 19, 1933 in Machias the daughter of the late Earl Edward and Myrtle (Vane) Sprague. 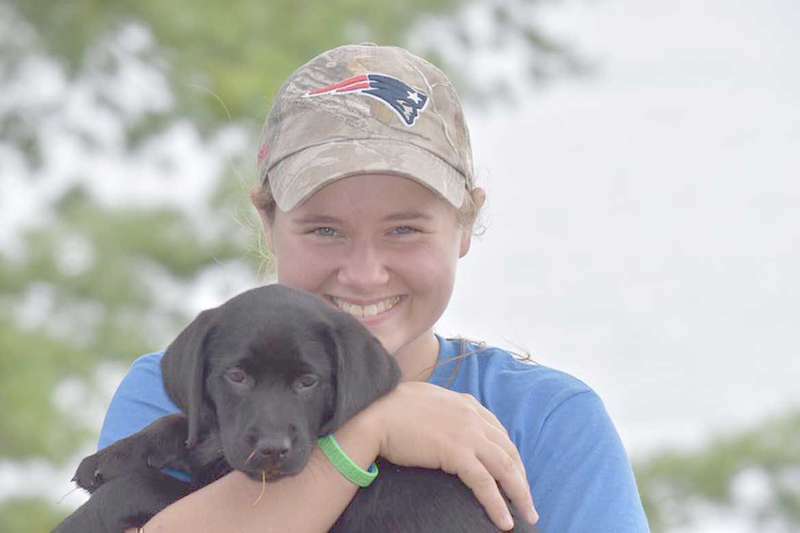 Esther attended Machias schools and Husson College. She was very involved with her beloved husband Edward Pellon and their businesses, as well as her own, Esther’s Resale Shop, for many years until she retired. Esther was a member of Order of Eastern Star #83 in Machias. 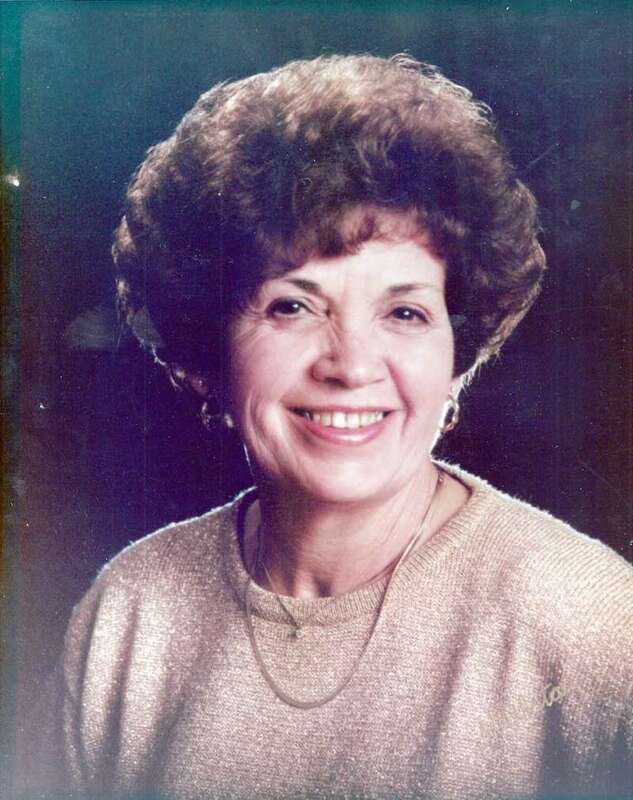 Marilyn Louise Schoppee, 73, went to be with her Lord on June 8, 2018, surrounded by her loved ones at a Machias healthcare facility. She was born May 31, 1945 in Portland the daughter of the late Walter and Evelyn (Preston) Conlin. She was a graduate of Machias Memorial High School class of 1963. She was a member of the Machias Valley Baptist Church, and was active in its Sunday School and Vacation Bible School programs. She was a volunteer at Down East Community Hospital. She especially loved her family time spent with her children and grandchildren. Betsy Fitzgerald moderated the Machias 2018 Annual Town Meeting held Wednesday, June 13. Thirty-eight residents were in attendance for the event which lasted just over one hour. All of the warrant’s 52 articles passed, some unanimously but most with a handful of votes in opposition. Kailee Colbeth was at the circus with her family when she heard the news that she won Washington County Teacher of the Year. “I think I went into shock!” she said. 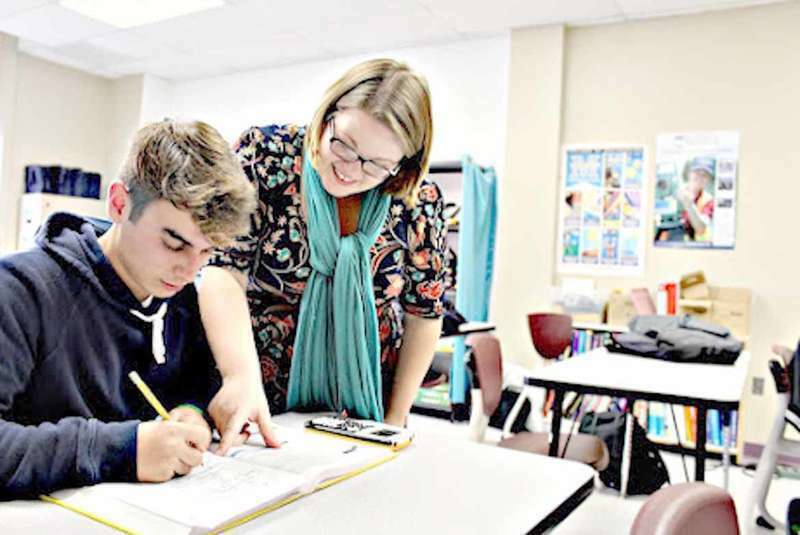 Colbeth teaches math at Washington Academy (WA) in East Machias. Last week Colbeth received more good news — she has advanced to the state semifinals. Colbeth is now one of eight candidates for Maine Teacher of the Year. 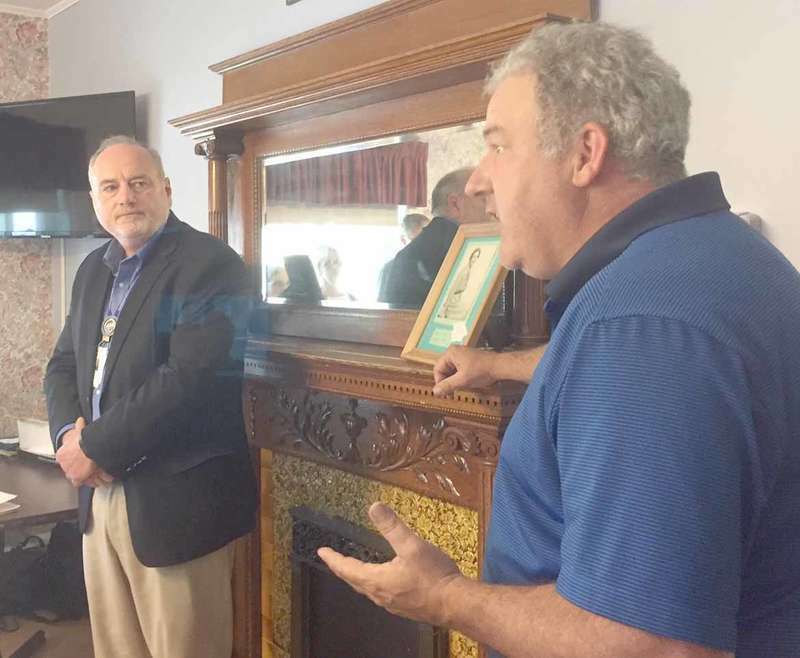 The process of reconciling a past of genocide that continues in some ways today was the focus of a talk held at St. Anne’s Episcopal Church on Sunday, June 3. John Dieffenbacher-Krall was the guest speaker at the event, which outlined the past relationship between the Wabanaki peoples and the European powers that colonized these lands and how today’s continuing relationship is influenced by those events. Jonesport’s biggest employer, Sunrise Care Facility, will close its doors on August 31, 2018, according to its owner, Down East Community Hospital. I am writing today in regards to the closure of Sunrise Care Facility in my hometown of Jonesport. I ask you to read my letter before you send an automated response, or before you send your press release. I’m asking you to consider the thoughts and the feelings of the people who live there, the people who reside at the facility, the employees who work there and are proud to work there. I’m so thankful to have been born and raised in this town. It is bursting with pride. Those snappy little seabirds Maine likes to claim as its own have come home to roost, so to speak. Just because it’s the season to multiply. 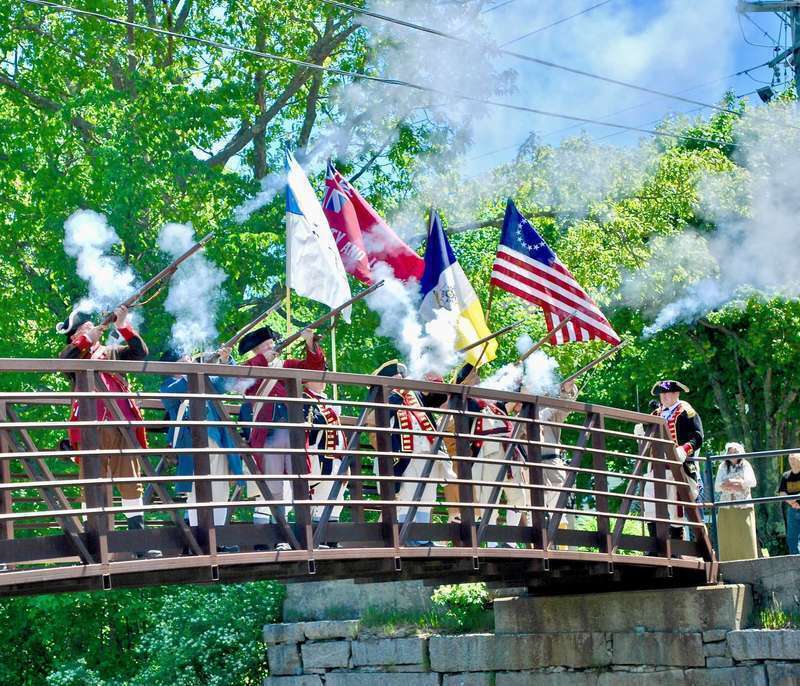 The Town of Northfield will hold the Annual Town Meetingon Wednesday, June 27, 2018, at 7 p.m. at the Northfield Town Hall. Machias Fire Chief Joey Dennison confirmed that Loretta Roberts of Machias has been arrested for arson by the Maine Fire Marshal’s office. 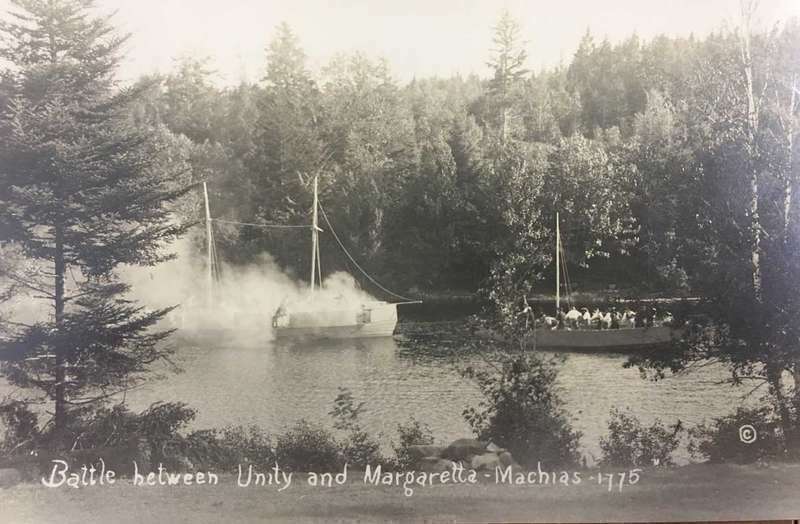 The fire took place in Machias on Sunday, June 17. A call was received at 2:15 a.m. reporting a fire on 39 Court Street. The Machias and Marshfield Fire Departments responded with 16 firefighters in total. The shed on the property was a total loss, including an ATV inside the shed, and some siding was damaged on a house near the property. Roberts was arrested later that day. Rumors of a pedestrian being hit by a car on Route 1 in Machias last Saturday spread far and wide leading to multiple calls into the Washington County Regional Communications Center (RCC) for more information. The story was circulated across several local Facebook “incident alert” sites, and said that the victim was flown out of Machias by LifeFlight. However, the RCC confirmed Monday that a review of all inbound calls and local hospital records show no such incident occurred. Way back in the days of Donnie Smith as Washington County sheriff, we heard ad infinitum about the wrongful jailing of mental patients and others incarcerated just to tuck them away because there was no place else to put them. Now it seems, our justice system is failing kids in much the same way. I have long admired Chief Justice Leigh Saufley, and she hit the nail on the head recently when she issued an official statement about a youth recently sent to Long Creek for violating his probation. AARP Maine and our more than 230,000 members would like to extend our congratulations and best wishes to all the candidates running in the general election in November. We would also like to remind everyone that November is not that far away. By far the biggest and most robust voting bloc in the state is that of Mainers over the age of 50. The issues impacting older Mainers are of particular importance here in Maine, the oldest state in the country. 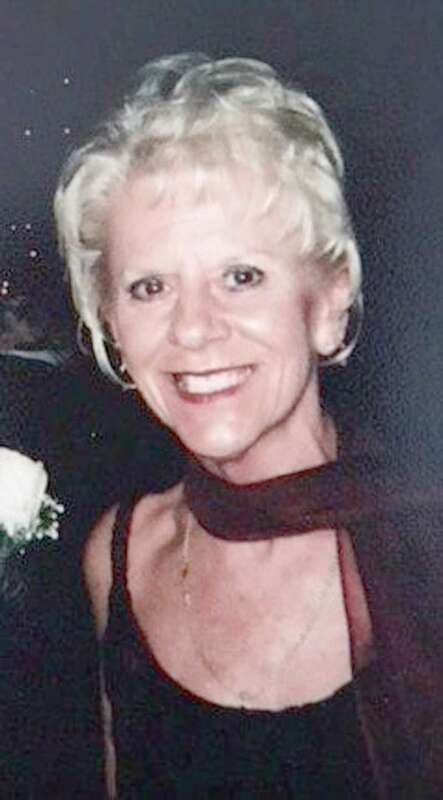 Jana Elaine Pettegrow of Bangor, Maine died from pneumonia complications at Mass General Hospital in Boston, Massachusetts, on June 14, 2018. Jana was born in Machias on December 26, 1977, the daughter of Wayne L. Pettegrow of Machiasport and Susan Radley of Machias. She was predeceased by grandparents Richard and Nonie Pettegrow of Machiasport, and Robert and Faye Ackley of Cutler. The Foster Field dedication was held at Washington Academy on Saturday, May 26. The ceremony preceded a WA girls varsity softball game against the Dover Foxcroft Ponies. 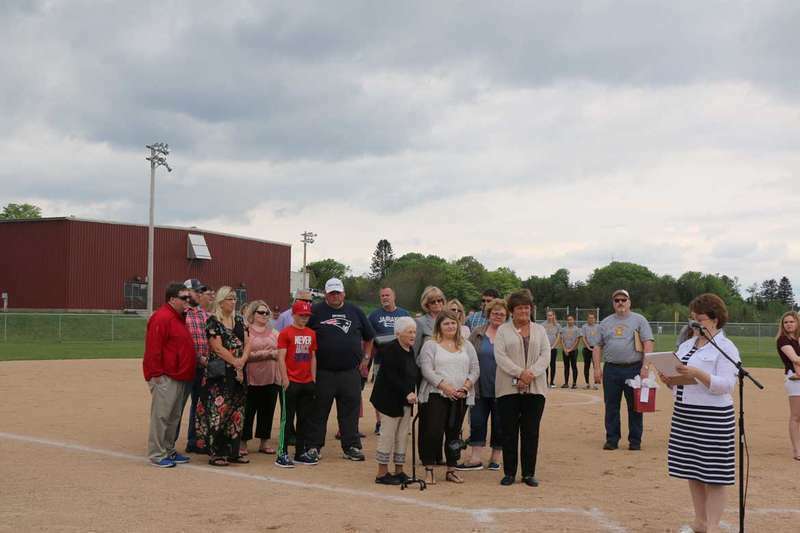 The dedication marked the end of the “Breaking New Ground” capital campaign that supported the addition and resurfacing of WA athletic fields and dugout renovations. Washington Academy would like to thank Breaking New Ground Chairman, Larry Barker, for his extraordinary dedication to the campaign’s success. 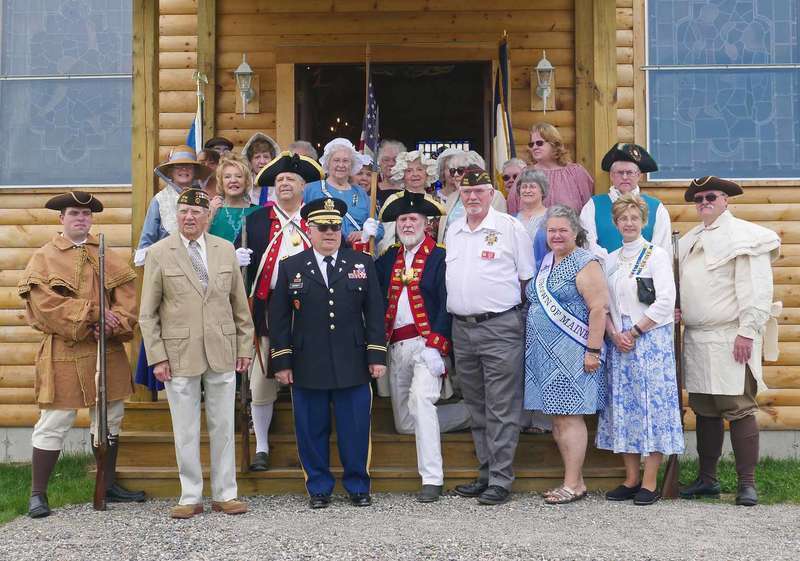 Uniquely focusing on Downeast history, a bus tour of historic halls from Ellsworth to Eastport will examine a slice of the past heretofore largely unpresented to the public. The two-day whistle-stop tour will focus on the civic architecture, projects and programs in these spaces, lectures and an overnight stay at Tide Mill Farm in Edmunds. The Ruggles House, the Cherryfield Historic District, Liberty Hall, Reversing Falls Hall, various granges and churches are on the itinerary. The July 21-22 tour will cost $350. Following the public meeting June 19 (see related story on p. 1), Jonesport selectmen huddled with District 138 Rep. Robert Alley (D-Beals) to explore avenues to slow the closure of Sunrise Care Facility and perhaps hand it over to the town. Alley reported over the weekend having contacted lawyers at a large Portland firm who in turn have engaged Atty. Justin Bennett [of the Ellsworth/Blue Hill firm of Hale & Hamlin] to file an injunction in Machias court this week seeking at least a 30-day stop of SCF’s closure. Last summer China notified the World Trade Organization that they would stop accepting 24 types of solid waste from other nations, and as a result the Machias Bay Area Transfer Station will make similar changes this week. Effective Sunday, July 1, users of the Machias Bay Transfer Station and Recycling Center will be restricted to recycling newspapers, corrugated cardboard and metal cans only. Plastics, magazines, flat cardboard and other materials commonly recycled will now go into solid waste. 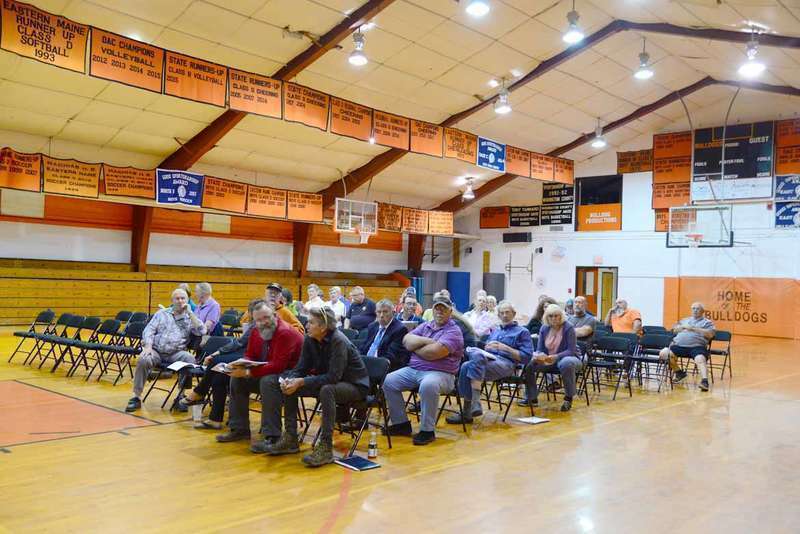 Less than a week after employees, residents and their families learned that Jonesport’s landmark nursing home would close later this summer, a public meeting in the elementary school gymnasium drew nearly 200 people from the area. Facing them June 19 were six members of the 15-person board of directors from Down East Community Hospital, which in 1992 took over what was Resthaven Nursing Home and turned it into Sunrise Care Facility (SCF) to avoid a shuttering at that time.